The other handset to have debuted in the PCT is the HTC HD7 (its review is due today). We have also added the ISO 12233 chart samples of the 85 other handsets we have reviewed before the tool was introduced. 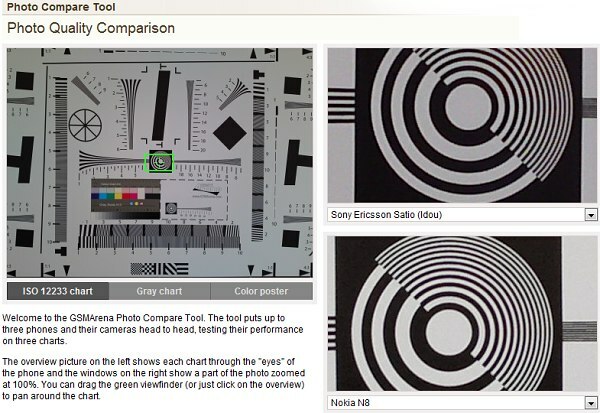 Unfortunately we don’t have the Gray chart and the Color poster shot with those devices, but at least now you’d be able to compare resolved detail of over 100 mobile phones cameras. Of course we stay committed to expanding the PCT database and you should expect new additions on a regular basis from now. And now off to checking out those new entries.